OK, so here is a quick guide to the common issues experienced when installing multiple Sonos boxes and how to solve them. I should also add, that often we receive technical support calls from companies that have installed tens of thousands of pounds worth of Crestron or AMX kit and alongside spent £40 on each Netgear or similar switch. Please, please when installing a large system, invest some money in good switches, they are worth their weight in gold. It’s a little like installing new plumbing in someones house and using plastic piping, then being surprised that when you turn the water on, the connections leak under pressure. Anyhow, rant over, lets start by looking at best practices. Below are the best practices when installing Sonos to ensure a stable platform with no broadcast storms or network loops that can have an impact to your network performance. Broadcast Storms – broadcast storm occurs when a network system is overwhelmed by continuous multicast or broadcast traffic. When different nodes are sending/broadcasting data over a network link, and the other network devices are rebroadcasting the data back to the network link in response, this eventually causes the whole network to melt down and lead to the failure of network communication. This can happen with Sonos when you have multiple routes back to the network, i.e. the Sonos is communicating over it’s mesh as well as over the LAN. Spanning Tree Issues – With Sonos these are common place and people not understanding Spanning Tree tend to ignore it and put it down to Sonos issues. Spanning tree (STP) is an older network protocol that ensures a loop-free topology for any bridged Ethernet local area network. The basic function of STP is to prevent bridge loops and the broadcast radiation that results from them. When installing Sonos with any managed switches or STP aware access points on the network, STP must be correctly configured or Sonos can become the route bridge for ALL STP related traffic, this can often cause the designated Sonos route bridge to stop forwarding packets, resulting in poor Sonos performance and outages. Another issue that we have seen on a few occasions is DNS re-routing for NTP requests. Many linux based products including Lode have a dependency on NTP to keep their date and time up to date. We have experienced issues where some DNS servers are mishandling NTP requests sporadically causing the date and time of Linux devices on a network to jump around. For Lode this can cause issues with the UPNP device cache as the cache entries are time stamped. This has been identified as an issue on a number of Draytek firmwares for example and can be overcome by not using the router IP address as a DNS server for the Lode device. Firstly you want to hard wire all Sonos boxes if at all possible directly to your switch, yes directly if possible, try to avoid chaining Sonos, think of the extra LAN ports on Sonos as get out of jail free cards rather than resources for constant use. Secondly you will want to disable the WiFi on all Sonos boxes that are hard wired (assuming they are all hard wired). This can be done with the following link http://sonos-box-ip:1400/wifictrl?wifi=persist-off. This will then ensure each Sonos box only has a single route back to the network, thus removing any potential Broadcast Storms. This should always be done when installing a Lode LS1 with Sonos. You cannot statically assign IP addresses to a Sonos box directly as they don’t provide this feature. You should use a router that enables you to add IP reservations to ensure the Sonos box IPs remain constant. You only need to do this step if you have a managed switch, router or access point that is capable of being a spanning tree route bridge. Now if STP is correctly configured, the designated root and bridge will be the MAC address of your root bridge configured on your network. If STP has not been correctly configured, the Sonos box with the lowest MAC address will most likely become the designated route bridge. To configure STP correctly for Sonos, you will need to access the management console of the first switch in the chain of your network and enable STP. Once enable, you want to set the priority to 4096. 4096 will be the lowest priority setting for STP and lowest takes priority. If you have additional managed switches on the network, you will need to set the STP priorities for these also as multiples of 4096 depending on what layer of the network they are on. For instance, if you have two switches daisy chained from the master, they could both be set to a priority of 8192. If you had a fourth switch chained from the third, this would be priority 12,288 and so on. We hope you find this little one pager helpful. 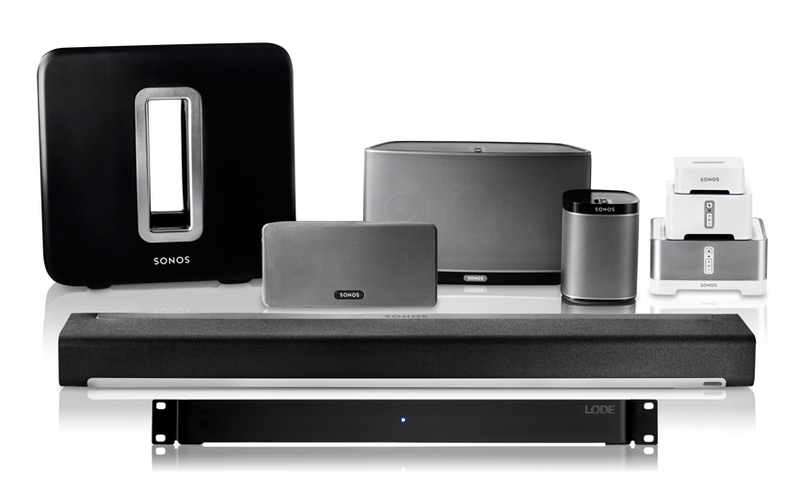 We aren’t here to support Sonos installs outside of our own LS1 product installations, but if you do want to email us at support@lodeaudio.com with questions, if time allows we will respond with suggestions.